While doing all this work we realized, the E-Cig industry is growing in size day by day and hence hundreds of new products are getting added in the market every month, but the best remains best no matter the competition. The competition indeed makes the manufacturers make their best products high-quality. became popular among new users. So, which E-Cig starter kit would a customer buy for a great start to a new year? That’s the million dollar question isn’t it? Let’s first get to the anatomy of a great E-Cig starter kit before we go through the top E-Cig starter kits in 2017.
kits – each new vaper will pick a starter kit for different reasons. An E-Cig starter kit is very important as it is going to be your customer’s first experience with vaping. A bad choice can make your customer dislike vaping. 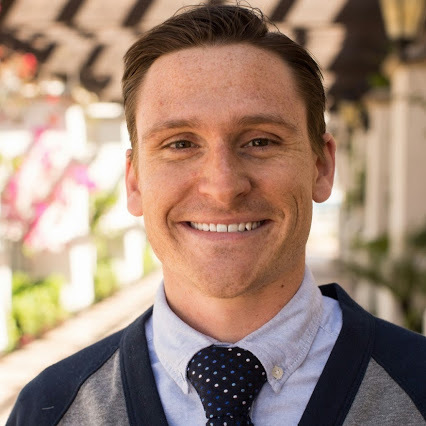 Make sure you ask the right questions when working with a customer. Box mods are popular because they are easy to use and last a long time. 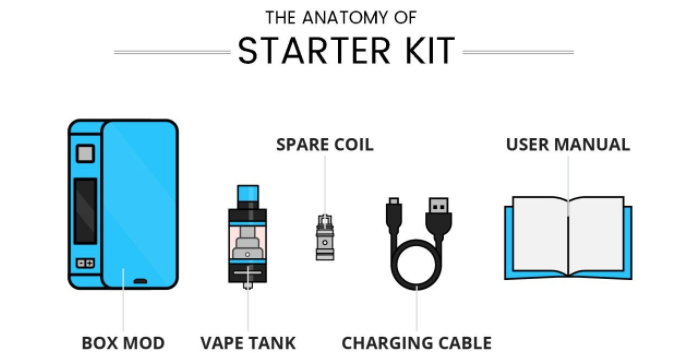 Be sure the starter kit includes a charger, battery, charging cable, clearomizer, replacement coils, drip tip and user manual. Below we have provided a complete review of each of these products, mentioning their pros and cons, for your customers to help choose their best E-Cig starter kit of their choice. Battery Indicator: There is no way of knowing the current life of your battery. Not much effort has been put in improving the aesthetics of the product. The settings display screen is a little too small for operation. The user needs to keep pushing buttons multiple times to get the specific setting right. 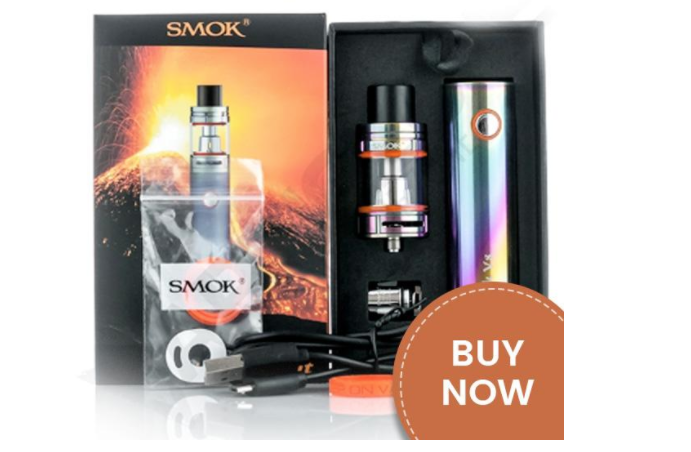 All the E-Cig starter kits vary between 0 – 225 W and 0.05 – 5 Ohms of power output and resistance, allowing all sorts of vaping including mouth inhaling, lung vaping, cloud chasing, and vaping to replace cigarettes. SMOK’s ProColor 225W TC and Stick are two high powered E-Cig starter kits. ProColor follows SMOK’s tradition of high-performance box mods, whereas SMOK Stick is an out of the box vape pen to try out. 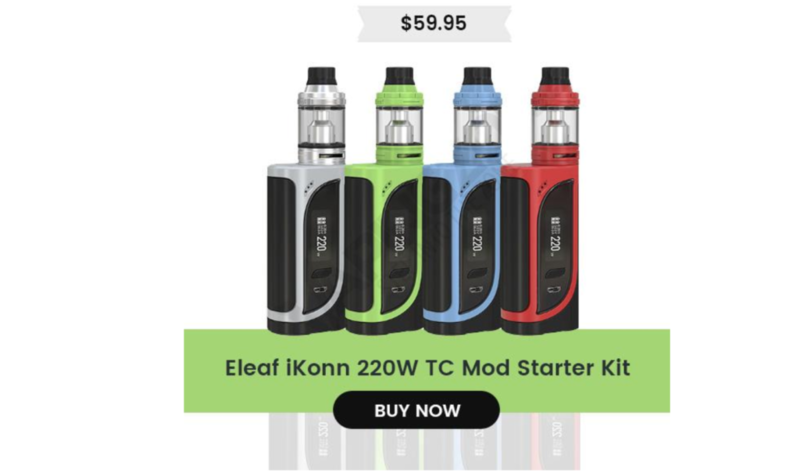 Eleaf’s iKonn tries to make a mark in E-Cig starter kits with its 220 W output and smooth control over voltage and temperature. 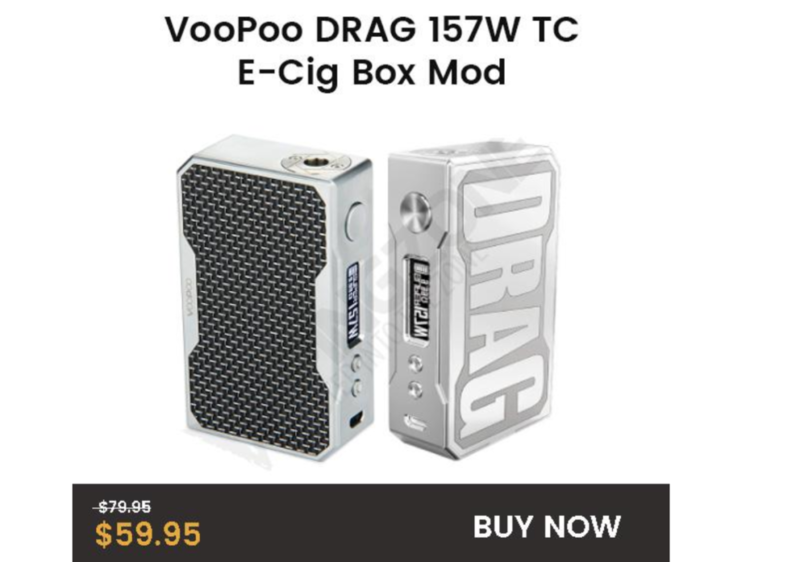 VooPoo DRAG with its unique design and use of GENE Chip technology, however, slightly low on power output, is a sure candidate to consider if your customer wants to but an E-Cig starter kit. 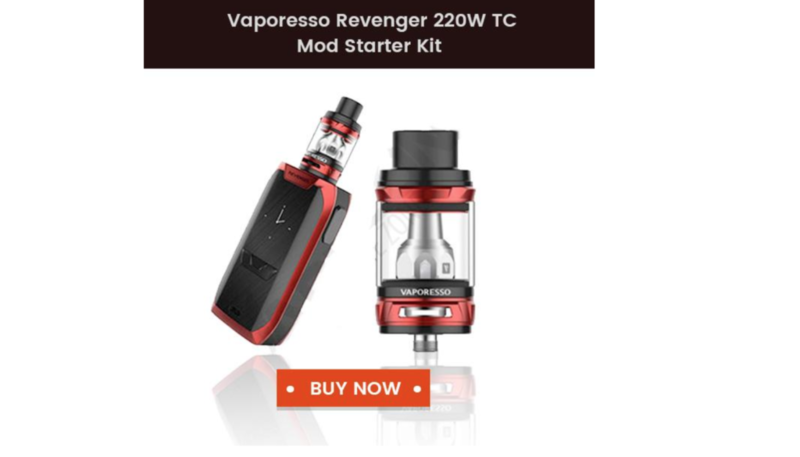 Vaporesso brings its first stylishly designed high power box mod, Vaporesso Revenger, integrating advanced Omni 2.0 technology in it, which is definitely a mod to consider for vaping. We would love to hear your comments on our top E-Cig starter kits in 2017 list. After all, businesses like you are the best judges of such comparisons.